Are there times when it’s hard to be hopeful? Yes, we’ve all had that experience, and it’s very painful. But Jesus came to give us hope. If you are feeling hopeless, then something is stealing your hope. Click on the video and let’s get it back. 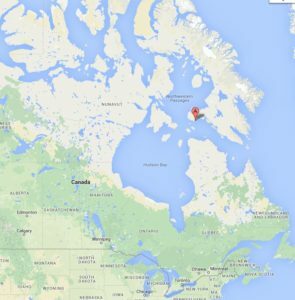 This week I’m in the Arctic, Cape Dorset, Nunavut. How do you get your hope back? Just leave your comments in the box below. For more information on the Arctic Hope Project click here. good segment. It reminded me of Rick Mercer or a 22 minute skit, adventuring so far north when we’ve been waiting for spring for so long. You must not suffer from SAD. Not too long ago, I went through something very traumatic that almost caused me to lose my faith in God. I literally felt like all hope was gone. I had never , ever felt like that before and I know it’s only by the grace of God and the help of a good Christian counselor that I was able to bounce back. My faith was severely tested when a woman at the church I used to go to told lies and made some false accusations against me. Turns out she is unsaved and into a lot of witchcraft, but it was very damaging emotionally and I felt like giving up on people and even on God also. I didn’t realize it was a test until later on when a prophet of God revealed this to me. I thought God had failed me by not protecting me from the lies of this woman. Praise God I can now look back and see that, like Joseph in the Bible, I was tested and passed the test. But during those months when all hope was gone, and I felt God Himself had abandoned me, He was still there all the time. I just couldn’t see Him as before because the Teacher is usually silent during the test. My favorite Scripture is ..Christ in me, the HOPE of glory. He was with me and in me all along, though I couldn’t sense His Presence at times. . God bless Dr. Grant.. Thanks Glory, that’s a powerful testimony. It will encourage others who are in the crucible right now. And Lynn, thanks for the compliment.